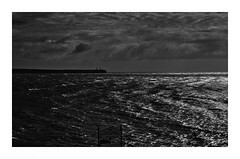 To: European Union Centre for Anthropological Studies, Irish Department of Sport, Irish Department of Heritage and Tourism, FINA, South London Swimming Club, Sandycove Island Swimming Club, Channel Swimming and Piloting Federation, Irish Bankers Association, the wealthy guy from down the road. Proposal: The advent of ubiquitous communication and democratization of publication has led to an explosion in discussion and participation in the sport of swimming. Formerly normative bicameral paradigms of swimming as principally pool or open water have divested into non-homogeneous externally identified cliques, and observers vest power through the actions of promotion and advertisement by further fracturing the tenuous nomenclature into new terminology. Figure 1 postulates the current dialectic of nomenclature as a guide to this proposed research. Is this self-identification valid and symptomatic of previous disenfranchisement, or is it an attempt at further hegemony? 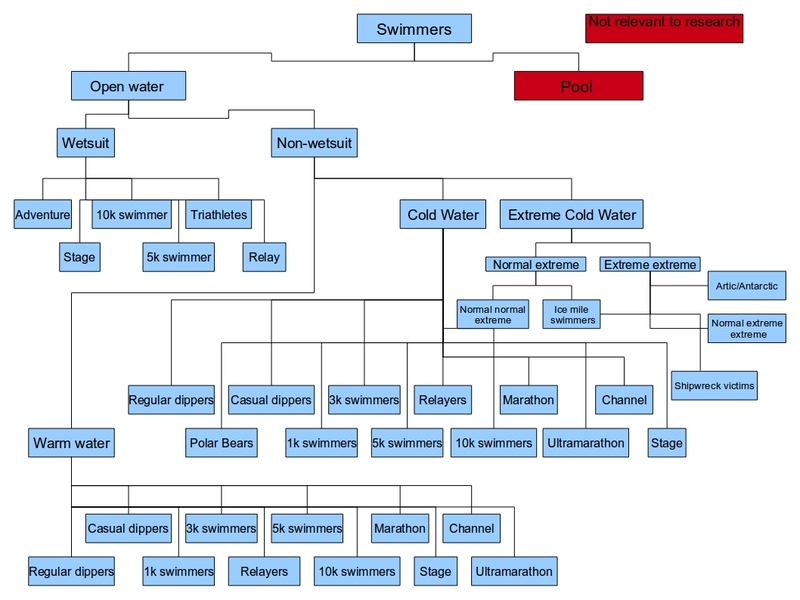 The new taxonomy of open water swimming. It's a Zoo out there. Apparently. This researcher seeks to observe, identify and codify this ontological re-upholstering and search out the semiotics of natation and the ideologies of various tribal sub-cultures. Are the new modalities of signification phallogocentric posturing, intertextual multivocalities of post-colonial others previously excluded by a white male Western patriarchy or a new hyper-contemporaneous narrative? Me? I’m just an open water swimmer. What about fins, snorkels, paddles, etc? Katie, in the post modern-swimming world the figure in the post can be personalized to every swimmer in the world. Even the non-swimming swimmers can have their own special titles, to tackle the privileged language of so-called “real swimmers”. I also plan to investigate the elitism inherent in the word /swimmer/. Why should abilty to swim be a de-facto requisite to being a global swimming star? The SLSC thinks this is a situationist prank. “You might think that, I couldn’t possibly comment“. Do papillon swimmers really have to share a small box with all the freestyle swimmers? I’m a bit claustrophobic! Can we have a non-wetsuited adventure category please??? In a post-modern swimming world, everyone can have their own utterly unique swimming category, which have the exact same “privilege” as all others. Very funny…. there will be a blog post from us to comment on this. I had to do a foundation social science course for an MBA. By year end the tutor and I hated each other, and I had corrupted half the class. To be truly post modern I should have mentioned Michel Foucalt and Jacques Derrida.